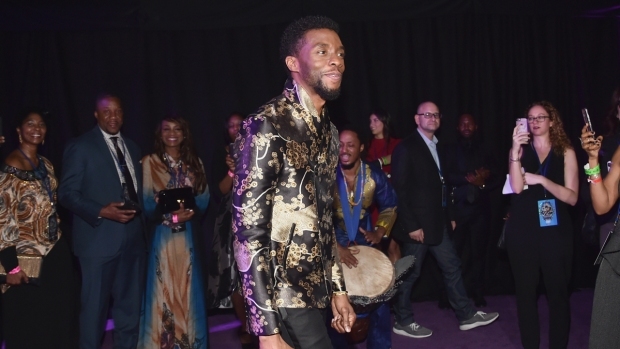 "I cannot tell you how much it means to have you step into the role as our king and be holding it with such grace and poise and joy"
Pay no attention to that man behind the curtain — unless that man is Chadwick Boseman. 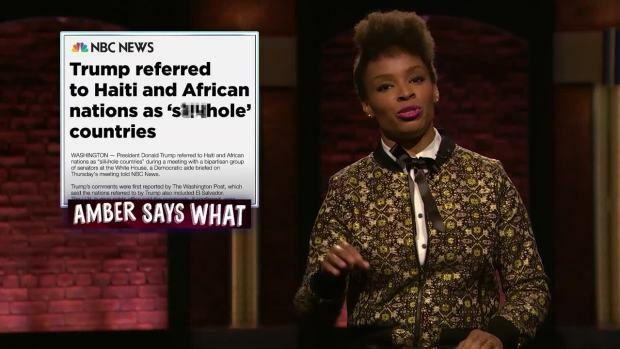 "Black Panther" fans filmed a video message explaining what the movie means to them, which they thought would air on "The Tonight Show" Wednesday. What they didn't know was that Boseman was behind the curtain, waiting to surprise them along with Jimmy Fallon. Of course, their reactions were priceless. Watch the video above to see the fans thank Boseman in person. - "I just want to say thank you so much for making 'Black Panther'. I can't express how much it means to me and the community and my family. Thank you from the very bottom of my heart for all that you've done, for really being a hero that we really need in a time like this. Thank you so much." - "I cannot tell you how much it means to have you step into the role as our king and be holding it with such grace and poise and joy." - "I actually saw it four times. I do have a life, but I saw it four times. I saw it once with my girlfriend. Also, I want to thank you having your suit on for most of the movie because when your chest was out, she was getting all excited, and I felt insecure. So, thank you for that. It means a lot to see a movie that's not, like, a black movie, but it's just a great American superhero move with people who look like me. So, thank you." - "For me, as the mother of a young son, my son's childhood has been defined by Barack Obama and now 'Black Panther.' So, thank you." - "As a creator, as an entrepreneur of color, just seeing this movie made me realize that our stories need to be told. There are so many of us out here who are trying to create great things, and I was just so inspired as someone how wants to make movies one day and wants to inspire people, that art can really change the world." - "I absolutely loved this movie. You guys killed it. But on a personal note, my father is African; he's from Ghana. He's a scientist. My mother, my sisters — brilliant African American women. So, basically, everything that represents me was honored in this movie. I've seen the movie twice in theaters already, and once on bootleg. It was incredible. Thank you." - "H! U! You know! I am a Howard University student and that is your alma mater. I am so, so, so very proud to say that a Bison is T'Challa, the 'Black Panther.' Seriously, when you made your big scene when you came out, I shed a tear. It was a big deal for me and my friends and definitely Howard University, so I just want to say thank you so much for showing us that there are avenues for us." - "I just wanted to thank you for making 'Black Panther' for the kids. Representation is very important. It gives the kids hope and it gives them the confidence to say things like, 'Hey, are you Killmonger's mama?' on the street when I'm going to work. I appreciate that. I thought I had a stylish haircut. You also got me to see an action movie; didn't see that happening." - "Words can't even describe what this movie has meant to me and to other black people. And I know this is for you, Chadwick, but I wanted to take a second to thank the black women, too, because they were so strong on their own terms and answered to no one but themselves. I think that is so important. They weren't strong because they were angry. They weren't strong because they were hurt. They were strong because they were strong, and that meant the world to me. So, thank you. Wakanda forever." E! and NBC are both members of the NBCUniversal family.